Karen Coakley is a Home Cook and Food Blogger living in Kenmare, Co.Kerry with her husband Vincent and their 4 sons. She is originally from Bantry in West Cork. In the past Karen has written recipes for publication in The West Cork Times, she’s had a Food Report on West Limerick FM’s ‘The Best Possible Taste’, she’s been the featured guest on Radio Kerry’s one hour interview slot ‘In Conversation With’. 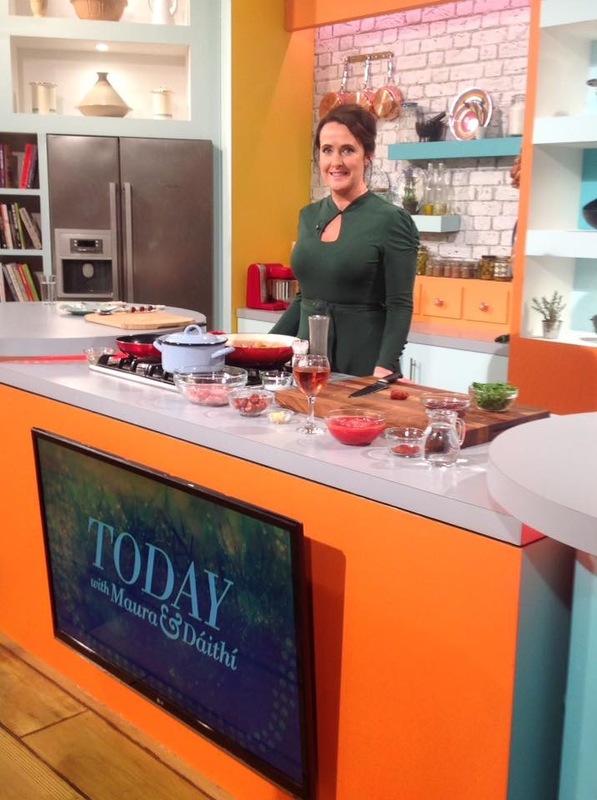 Karen can be now seen cooking Live on RTÉ Today Show with Maura and Daithí. Karen is a keen forager and promoter of local produce as well as Home Cooking. Her ethos with Kenmare Foodie is to lead a healthy, balanced active life and to get families back to the simple pleasures of ‘Home Cooking’ and connecting through sharing family meals together. She leads by example in every thing she does by cooking breakfast, lunch and dinner from scratch every day and having taken up running and rowing after quitting smoking just over 5 years ago. She ran her first full Marathon in 2015 and competed in the ‘Irish Coastal Rowing Federation’ All Ireland Finals with her Club Templenoe in 2016 & 2017. Excitement after finishing Cork City Marathon! She’s kept busy looking after her family and also giving daily Cookery Tutorials on Snapchat and running her very popular Food Blog ‘Kenmare Foodie’ which was listed in Lovin.ie ‘Top 13 Food Bloggers Lighting Up The Irish Food Scene right now’ https://lovin.ie/travel-food/recipes/11-food-bloggers-lighting-up-the-irish-foodie-scene-right-now and Lovin Dublins Top 10 Foodie’s to follow on Snapchat a few months ago. When she’s not doing all of this you can catch her giving ‘Private Cookery Classes’ and Cookery Demos. She has also recently Collaborated with leading national Irish brand ‘Carraig Donn’ with a Cookery Demo Demonstration in Limerick to launch their Autumn Range of Giftware and to shoot a short Promo Video for their website. Karen is also available for Corporate/ Team Building Events and Private ‘Foodie’ Days.